The Lincoln Electric System, along with the National Renewable Energy Laboratory and the University of Nebraska-Lincoln, has begun collecting data for a study on the habits of drivers of electric vehicles in the Lincoln, Nebraska, area . . . Other Nebraska public power utilities are also taking action related to EVs. In June, the Omaha Public Power District began a pilot program to educate its customers about the benefits of electric vehicles. In January, Nebraska Public Power District unveiled details of a pilot program under which owners of electric vehicles will receive a $200 incentive if they install a charging station at their home. Read more here. “Our service territory has about 300 plug-in vehicles, and nearly a third of those drivers are represented in this study,” said LES CEO Kevin Wailes. “We’re excited to have that level of interest from our customers, and it’s a true testament to their engagement with LES and our shared commitment to prepare for a plugged-in future.” For more information about the study, contact LES at 402-475-4211. Follow LES on Facebook and Twitter for study updates. Federal tax incentives currently remain available. OPPD recommends you speak to your tax advisor for specific details. A $200 EnergyWise incentive for the installation of a residential vehicle charging station is available for a limited time from Nebraska Public Power District and your local public power utility. This incentive is for customers living in the service area of NPPD or its wholesale customers who purchase an electric vehicle and choose to install a ChargePoint 32 amp WI-FI enabled station. Other charging stations may be incented but must pass pre-approval criteria. To qualify for the pilot incentive program, the installation location of the charging station must have internet wireless connectivity. This entry was posted in Electric Vehicles, Nebraska / Midwest News and tagged American Public Power Association, LES' electric vehicle study, Lincoln Electric System (LES), Nebraska Public Power District (NPPD), Nebraskans for Solar NewsBlog, Omaha Public Power District (OPPD), OPPD & NPPD pilot EV programs on November 30, 2018 by Helen Deffenbacher. 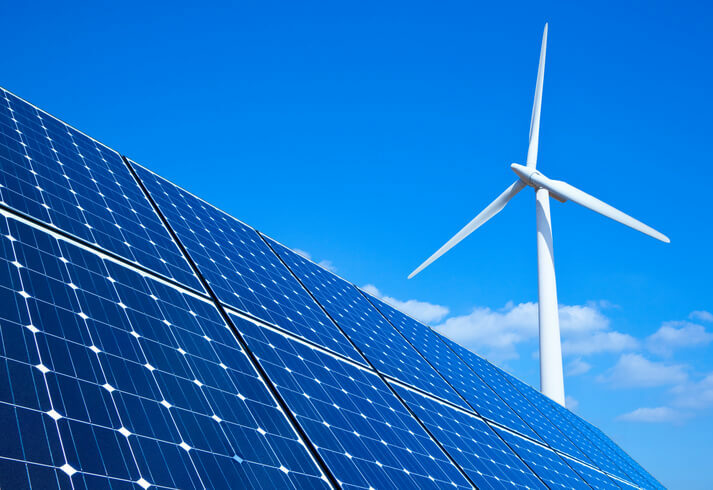 Distributed energy resources are coming, even though the regulatory and legal structures in wholesale power markets are still evolving, experts said at an American Public Power Association conference in Charleston, S.C., earlier this week. “This is not just a matter of policy; it is a matter of consumer choice,” Jeff Dennis, general counsel for regulatory affairs at Advanced Energy Economy, said on Oct. 8 at the Association’s Legal and Regulatory Conference. “DERs are coming whether or not wholesale markets provide them the market opportunity, “but we think it is important to provide that market opportunity,” Dennis said. Continue reading here. 76 percent of voters and 87 percent of opinion leaders think their utility should deploy more solar power. 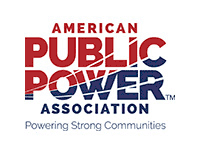 This entry was posted in NewsBlog and tagged American Public Power Association, consumers' energy choices, distributed energy resources, Nebraskans for Solar NewsBlog, Solar Energy Industries Association (SEIA) on October 11, 2018 by Helen Deffenbacher. When it comes to truly transformative energy technologies, energy storage should be on the short list. While it feels like there is never any good news these days, energy storage is shattering records, meeting milestones, and writing its own good-news story. Because of its many benefits, states, utilities, and even big corporations are increasingly interested in investing in energy storage. Lawmakers are also interested in the opportunities energy storage presents. The U.S. House of Representatives Energy and Commerce committee has announced the latest installment in their “Powering America” hearing series: The Role of Energy Storage in the Nation’s Electricity System for Wednesday July 18. Members of Congress will examine the growth of large-scale energy storage in the United States, the unique reliability attributes energy storage provides for the electric grid, and the use and impacts of energy storage within wholesale electricity markets. Continue here. EU and China to co-operate on clean energy technology and emissions trading, PV Magazine International. The leaders’ statement also backs financial commitments of a cumulative $100 billion annually, pledged by all parties to the Paris Agreement and depending on their financial capacities. This entry was posted in Energy Storage and tagged American Public Power Association, National Renewable Energy Laboratory (NREL), Natural Resources Defense Council (NRDC), Powering America Hearing Series, U.S. House of Representatives Energy and Commerce Committee on July 17, 2018 by Helen Deffenbacher. Omaha Public Power District is launching a pilot program in June to educate its 374,000 customers about the benefits of electric vehicles, while providing incentives for their potential use. Throughout the pilot and beyond, OPPD will be tracking and monitoring impacts to its distribution system for use in grid planning and will also develop a plan for managing those impacts. Read more here. Electric vehicles are here: are utilities ready to charge forward? Navigant Research said in a report, prepared for the American Public Power Association, that by 2021 it conservatively projects new EV (battery electric vehicles and plug-in hybrid electric vehicles) sales of more than 700,000 units in the U.S. annually. Markets saw a 37 percent increase in sales of plug-in electric vehicles in 2016 and Navigant Research expects 50 percent growth in market sales in 2017 and 2018, largely due to Tesla’s Model 3 and other longer-range, low cost battery electric vehicles coming to the market, as well as more vehicle options becoming available for plug-in hybrid electric vehicles. Among the top electric vehicle policy trends in the first quarter of 2018 were states considering multi-faceted approaches to EVs and related infrastructure, the North Carolina Energy Technology Center (NCCETC) said in a recently released report. This entry was posted in Electric Vehicles, Nebraska / Midwest News and tagged American Public Power Association, Nebraska Public Power District's Innovative Programs, Nebraskans for Solar NewsBlog, NPPD's EV Charging Station Incentive Pilot Program, Omaha Public Power District's Innovative Programs, OPPD EV Pilot Program, OPPD The Wire on May 25, 2018 by Helen Deffenbacher. The initiative team is presenting its findings and plans to OPPD’s Board of Directors during their May committee meetings. Read more here. During this week’s committee meetings for the OPPD Board of Directors, the Integrated Energy Marketplace team presented its latest EV research, including plans to announce a pilot next month. The pilot, as part of the district’s EV Strategy and Process Initiative, will include EV education for customers. 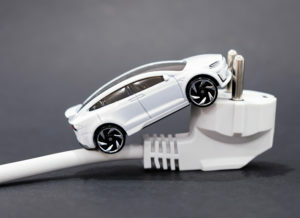 It will also connect customers to financial incentives available for the purchase of certain EVs, as well as certain EV chargers, among other areas. This entry was posted in Electric Vehicles, Nebraska / Midwest News and tagged American Public Power Association, EV incentive pilot programs in Nebraska, EV Strategy: OPPD Board Committee Presentation May 2018, Navigant Research, Nebraska Community Energy Alliance, Nebraska Public Power District (NPPD), Nebraskans for Solar NewsBlog, North Carolina Energy Technology Center, NPPD's EV Charging Station Incentive Pilot Program, Omaha Public Power District (OPPD), The Wire - OPPD blog on May 16, 2018 by Helen Deffenbacher.